Update, February 12: Riot are teasing League of Legends’ next champion. Riot have released a teaser for their upcoming marksman champion. Currently on the PBE, the teaser shows a purple missile shooting out of a portal to kill the Rift Herald. Keep up to date with the League of Legends patch 8.3 notes. The Herald is an epic monster that despawns by itself 20 minutes into the game, normally crawling back into the void just before Baron Nashor, League’s ultimate buff-giver, arrives. The teaser, however, shows a portal opening up behind the Herald, shooting it in the back and killing it. The purple missile and the skillshot is an obvious link to the new void-based marksman Riot mentioned in their most recent champion roadmap. The teaser is similar in style to Zoe’s, which saw a bubble fly into the starting fountain and putting players who stepped into it to sleep. That ended up being one of Zoe’s abilities, so it looks like this champion will have some sort of nuke skillshot, or some kind of portal-style mechanic. I wouldn’t be too worried about them one-shotting Herald, however (unless someone in the balance team has completely lost it). If the timescale attached to the new champion is anythign like Zoe’s, we could get our first new look at them in the next week or so. Original story, February 1:League of Legends’ next champion will be a “super high-risk, high-reward marksman.” Riot have released anew champion roadmapto tease the direction they plan to take in 2018. That’s pretty strongly reminiscent of Kindred, League of Legends’ jungler/marksman hybrid, whose central mechanic often involves heading to enemy jungle camps to help gain power in the late game. The image included in the roadmap, however, seems to show a landscape twisted by dark magic, similar to someone like Varus, or a void champion like Kog’Maw. Either way, it’ll be a while yet until we see this new champion – patch 8.5 is a possibility, but patch 8.7 could be more likely. 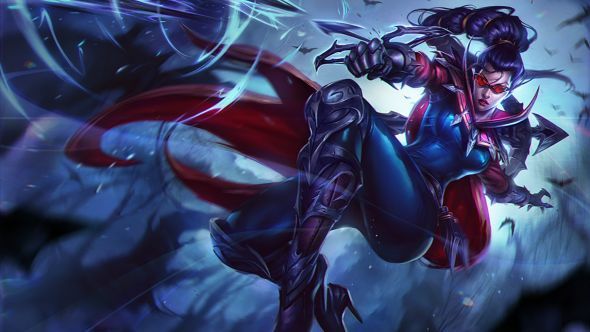 Elsewhere in the roadmap, Mireles points to changes to Irelia, who’ll keep her strength against ranged champions, “poking at her enemies with a thousand tiny cuts before surging in for the kill.” Mireles also says that an Aatrox rework is on the way, as the team have “finally settled on a design direction we’re happy with,” and that Akali will be the “next big VGU” (visual and gameplay update). Finally, while it’s “still a bit early to talk about” what’s coming after Akali, Mireles posted a picture of a snowball, all-but-confirming that Nunu’s rework is finally on the cards.